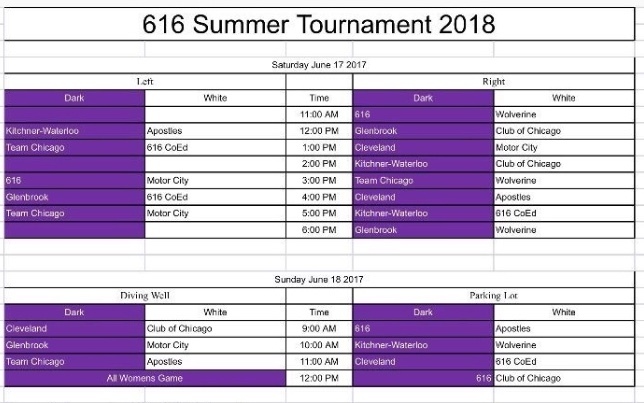 Join Us at 616 This Weekend! The roster is now open for the 616 tournament this weekend, please pay before attending. If you are not already added to the logistics email, contact Ford for more information. Games will be held at East Kentwood High School on Saturday and Sunday. *We have officially moved to our summer schedule, join us at Foster Pool in Lakewood park starting at 8:00pm on Tuesdays!